Why a Membership Style of Practice? The big problem with chiropractic today is that most chiropractors make it too difficult to get under regular chiropractic care. They often include expensive entrance fees, tons of paperwork and costly office visits. I believe chiropractic care belongs to everyone, not just for people with money or “good” insurance. If you genuinely give people the very best care that is of far greater value than the fee you charge, people will not only appreciate you for it, they’ll tell their family and friends about you. That’s where I come in. I make getting under regular chiropractic care simple, easy and affordable. Your first visit won't cost an arm and a leg, plus any and all care after your first visit is very affordable. You will be taken care of like you want to be taken care of, no waiting, no appointments, no hassles, no kidding! 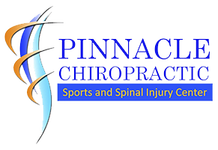 The Membership programs offered will allow you to receive regular chiropractic adjustments each month based on what you need, not what you can afford. This program is not a guarantee of a cure or prevention of disease, but is based on the principle that with proper nerve supply, your body is better able to reach its full potential and to express more vitality and overall increased wellness. I am not in the symptom removal business...that's medicines job. I am in the business of saving lives. I encourage individual and family participation in our membership programs for health maintenance and for the minimization of health care crises and disease. I look forward to providing you with excellent chiropractic care!